The first single to be taken from the album, "Bad Girls", was released nearly two years before the album and became one of M.I.A. 's most successful singles. Three other songs from the album were released as singles in the run-up to its eventual release. The album received highly positive reviews from critics, with many citing it as a return to form compared to its predecessor. Despite the positive critical reception, its first-week sales were significantly lower than those of M.I.A. 's previous album, and its chart peak was lower in all major markets. Matangi did, however, top the US Dance/Electronic Albums chart. The artist stated that she took inspiration from the Hindu goddess Matangi during the album's creative process. M.I.A. released her third album Maya in 2010, which did not garner the wide acclaim of her previous two works and sold poorly compared to her previous album Kala. Following this, the artist experienced a period during which she struggled to find motivation to make music. She eventually found initial inspiration for the creation of a new album in reading about her namesake, the Hindu goddess Matangi, following which she travelled to India to research concepts for the album. She ultimately made a conscious decision to steer away from politicised lyrics. Matangi was recorded in various locations around the world, including London, New York and Los Angeles. The track "Atention" (stylised as "aTENTion") was recorded on the island of Bequia in the Grenadines. M.I.A. contended that the recording process for the song involved input from WikiLeaks founder Julian Assange, who purportedly "came into the studio and took my computer and basically decrypted the whole of the internet, and downloaded every word in the whole of the language that contained the word tent within it". The rapper has been a friend of Assange for several years and he made an appearance via Skype at one of her concerts promoting the release of the album. The album was the first by M.I.A. to feature no contribution from producer Diplo, with whom she was in dispute. "Bad Girls" was noted for its combination of Middle Eastern sounds and a pop chorus. In an interview with BBC News, M.I.A. stated, "People expected spa music [from the album] ... but it doesn't have a tranquil flute massage sound." BBC News' Mark Savage characterised the album's sound as "a chaotic, digitally-degraded thunderstorm of hip-hop and bhangra; punk and pop; spitfire raps and thorny wordplay". The overall sound of the album mixes eastern and western musical styles, with the single "Bad Girls" noted for its combination of a Middle Eastern influence and a pop chorus. Writer David Marchese of Spin described the track, which had originally appeared in a slightly different form on the Vicki Leekx mixtape released in December 2010, as having a "vaguely sinister rhythm slither". "Bring the Noize" uses a beat from the track "Marble Anthem" by Marble Players, a group which includes Surkin, who produced several tracks on Matangi, although the sample is not listed in the credits. Similarly, "Atention" reportedly contains an uncredited sample of "Never Scared" by the rapper Bone Crusher featuring T.I. and Killer Mike. The song "Y.A.L.A. ", the title of which stands for "You Always Live Again", was seen as a response to the slogan "Y.O.L.O." ("You Only Live Once"), popularised by rapper Drake, who is also referenced on the album's title track. The lyrics of "Y.A.L.A." refer to reincarnation, one of a number of concepts relating to Hinduism referenced on the album, including karma and the use of the om chant. "Boom Skit" contains lyrics which reference M.I.A. 's appearance at the Super Bowl XLVI halftime show, during which she controversially extended the middle finger to the camera while performing with Madonna. The short track "Double Bubble Trouble" contains lyrical elements similar to "Trouble", a mid-90s hit for female duo Shampoo. Matangi was originally teased when M.I.A. posted a photo of her in the studio in November 2011, on TwitPic. Her fans gave her two ideas for the album's name, A.I.M. or Matangi, which led M.I.A., whose real name is Mathangi [sic] Arulpragasam, to choose the latter as the album's official name. In August 2012, M.I.A. posted online an image of the album's proposed track listing, with some of the titles partially obscured. The list of tracks included some, including "Tentple", "Rain" and one beginning "Balcony in B", which did not ultimately appear on the album, or appeared under different titles. The album was originally scheduled for a December 2012 release, but it was eventually pushed back by M.I.A. 's label, which claimed the record was "too positive". The following month the rapper claimed the album would be released in April to coincide with the Tamil New Year, but this did not occur. In August 2013, M.I.A. threatened to leak the album if Interscope took any longer to negotiate a release date. Interscope responded by announcing the album's official release date as 5 November. The album's cover artwork was first revealed in September and features a photograph of the rapper's face tinted red and green. Stereogum writer Tom Breihan characterised the artwork as continuing an "'ugly computer graphics' visual theme" also seen on her previous releases. The artwork on M.I.A. 's releases has long been known for being garish. Upon the release of the album Kala in 2007, The Village Voice commented "Maybe one day [she'll] make an album cover that it doesn't hurt to look at". "Bad Girls", a re-worked version of a song from the Vicki Leekx mixtape, was released as the album's lead single on 31 January 2012, peaking at number 43 on the UK Singles Chart. On 3 March 2013, M.I.A. released an eight-minute mix of songs from the album as part of Kenzo's autumn/winter 2013 collection at its Paris Fashion Week show. "Bring the Noize" was released as the second single on 18 June 2013, followed by "Come Walk with Me" on 3 September and "Y.A.L.A." on 22 October. Three days before the official release date, M.I.A. streamed the album in its entirety on YouTube. "Double Bubble Trouble" was released as the album's fifth single on 30 May 2014. M.I.A. promoted the album with a series of live performances, including two shows at the Terminal 5 venue in New York and an appearance at the Fun Fun Fun Fest in Austin, Texas, and also appeared on the NBC chat show Late Night with Jimmy Fallon, where she performed "Come Walk with Me". Matangi received generally positive reviews from critics. At Metacritic, which assigns a normalised rating out of 100 to reviews from mainstream publications, the album received an average score of 78, based on 37 reviews. Jon Blistein of Rolling Stone called the album one of her strongest efforts. Jim Carroll from The Irish Times hailed M.I.A. as "a musical super-sharpshooter with an incredible ear for hard-bodied pop tracks (Bad Girls, Come Walk With Me, Exodus) that boil and steam the most mutant genres into submission." Gavin Haynes of NME wrote, "MIA takes the basic template of right-now chart music and subverts it by forcing it to work triple time". He continued, "Beats are constantly morphing, and every track chucks handfuls of sonic debris at you", Likewise, Alexis Petridis of The Guardian noted, "Like the woman who made it, Matangi is hugely inventive and a bit exhausting: if it's hard to take in anything other than small doses, you can't help but be glad it exists". However, Petridis also acknowledged the abrasiveness of the album's sonic scope: "More characteristic is 'Bring the Noise' [sic], an unyielding, punishing rhythmic assault on which the only semblance of a tune comes from a distorted electronic horn section". He then goes on to admit that "in a way, that's the highest compliment you can pay her: a decade into her career, MIA still doesn't sound like anyone else." Other reviewers were more critical of the album. Writing for Pitchfork, Lindsay Zoladz described the title track as a "re-tread" of M.I.A. 's earlier song "Bird Flu" and "Sexodus" as "cardboard-stiff", and said that the album as a whole "unlike her most potent releases....sounds less interested in pushing and prodding the culture forward and more content to soar safely above it". The A.V. Club's Marah Eakin characterised the album as "disjointed" and said that it had suffered due to the long delays to its release and that a number of the tracks utilised outdated reference points. NME named Matangi the 12th best album of 2013 in its year-end poll. and the following year ranked the album number 47 in a list of "101 Albums To Hear Before You Die". Despite an initial mixed review, Pitchfork ranked the album at number 46 on their "The 50 Best Albums of 2013" list. Time ranked the album at number 10 in their annual list. Complex listed it at number 32. 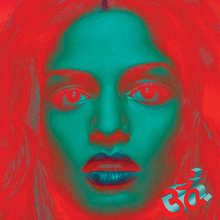 Matangi entered the UK Albums Chart at number 64, significantly lower than M.I.A. 's previous album Maya, which debuted at number 21 in 2010. The following week, the album dropped out of the top 100 altogether. In the United States, the album debuted at number 23 on the Billboard 200 chart with first-week sales of 15,000 copies. In its second week it fell to number 90. The album reached number one on the Dance/Electronic Albums chart, M.I.A. 's third consecutive album to do so. As of August 2016, Matangi has sold 77,000 copies in the US. Internationally, Matangi attained moderate impact on the charts, reaching number 47 in Belgium, number 61 in Switzerland, number 93 in Japan, number 96 in France and number 99 in Australia. 5. "Come Walk with Me"
14. "Know It Ain't Right"
"Atention" is stylised as "aTENTion". "Only 1 U" contains excerpts of "Karuppu Thaan Yenakku Pudichu Coloru" from the motion picture Vetri Kodi Kattu. "Exodus" and "Sexodus" contain elements of "Lonely Star" written by Abel Tesfaye, Carlo Montagnese and Martin McKinney. Credits adapted from the liner notes of Matangi. ^ "M.I.A. : Matangi – Album Review". Slant Magazine. 4 November 2013. Retrieved 6 January 2018. ^ Harper, Alana (23 July 2010). "Gig Alerts: M.I.A." WNYC. Retrieved 26 December 2013. ^ Benigno, Anthony (28 July 2010). "M.I.A. offers free NYC show in response to disastrous Hard NYC performance on Governors Island". New York Daily News. Retrieved 26 December 2013. ^ Price, Allison M. (15 July 2010). "Taking sides: Is the M.I.A. backlash a result of truffle fry angst or crummy songs?". The Washington Post. Retrieved 26 December 2013. ^ Herrera, Monica (28 July 2010). "M.I.A. Blasts Oprah and Gaga, Drops on Billboard 200". Billboard. Retrieved 26 December 2013. ^ Lipshutz, Jason (1 November 2013). "M.I.A. Finds Peace On 'Matangi' Album: 'It's A Bit Emo In Places'". Billboard. Retrieved 2 November 2013. ^ Zeichner, Naomi (18 October 2013). "Interview: M.I.A." The Fader. Retrieved 8 November 2013. ^ a b Perry, Kevin EG (16 November 2013). "Flipping hell". NME. pp. 48–54. ISSN 0028-6362. ^ a b c Blistein, Jon (22 October 2013). "M.I.A. Answers YOLO With 'Y.A.L.A.'". Rolling Stone. Retrieved 3 November 2013. ^ a b Savage, Mark (29 October 2013). "MIA: Pop's provocateur comes of age". BBC News. Retrieved 2 November 2013. ^ Alexis, Nadeska (4 November 2013). "M.I.A. Spills On How She Got Julian Assange Live In Concert". MTV News. Retrieved 8 November 2013. ^ a b "Review: MIA's Matangi sees the exciting singer back at her wildcard best". Metro. 8 November 2013. Retrieved 8 November 2013. ^ Levine, Nick (31 January 2012). "MIA, 'Bad Girls' – First Listen". NME. Retrieved 8 November 2013. ^ Marchese, David (30 January 2012). "M.I.A. Unleashes Reworked Single 'Bad Girls'". Spin. Retrieved 30 May 2012. ^ Alcindor, Jonathon (17 June 2013). "Listen: M.I.A. 's "Bring The Noize"". CMJ. Retrieved 8 November 2013. ^ Lobenfeld, Claire (1 November 2013). "Stream M.I.A. Matangi". Stereogum. Retrieved 8 November 2013. ^ a b Thompson, Desire (7 November 2013). "Review: M.I.A. Makes Her Voice Heard On 'Matangi' LP With Drake Snubs, Political And Sexual Anthems". Vibe. Retrieved 8 November 2013. ^ McGovern, Kyle (16 October 2013). "M.I.A. Rebuts Drake's 'YOLO' Philosophy With 'Y.A.L.A.'". Spin. Retrieved 3 November 2013. ^ Vitale, Nino (7 November 2013). "M.I.A. Matangi Review: Get Your Karma Up". The Huffington Post. Retrieved 8 November 2013. ^ Jackson, Nate (31 January 2012). "M.I.A. dishes on Super Bowl appearance with Madonna". Los Angeles Times. Retrieved 8 November 2013. ^ Gardner, Tim (5 February 2012). "M.I.A. flips middle finger during Super Bowl halftime show". USA Today. Retrieved 8 November 2013. ^ a b Phares, Heather. "Matangi – M.I.A." AllMusic. Retrieved 3 November 2013. ^ M.I.A. (20 November 2011). "refugee-in-tents!". TwitPic. Retrieved 1 November 2013. ^ M.I.A. [@MIAuniverse] (9 April 2012). "A I M or M A T A N G I" (Tweet). Archived from the original on 26 October 2013. Retrieved 1 November 2013 – via Twitter. ^ ""Paul Simon on acid": M.I.A. answers questions about new album". Fact. 7 August 2012. Retrieved 3 November 2013. ^ Michaels, Sean (7 January 2013). "New MIA album 'too positive', says label". The Guardian. Retrieved 1 November 2013. ^ Maloy, Sarah (7 January 2013). "M.I.A. 's 'Matangi' Album Pushed to April". Billboard. Retrieved 12 November 2013. ^ Jacobs, Matthew (8 August 2013). "M.I.A. 's 'Matangi' Secures Release Date After Singer Threatens To Leak Album". The Huffington Post. Retrieved 15 August 2013. ^ Breihan, Tom (24 September 2013). "M.I.A. Reveals Matangi Cover And Tracklist, Responds To NFL Lawsuit". Stereogum. Retrieved 9 November 2013. ^ Breihan, Tom (18 July 2007). "Status Ain't Hood interviews M.I.A." The Village Voice. Archived from the original on 30 October 2013. Retrieved 9 November 2013. ^ "Bad Girls by MIA". 7digital (US). Retrieved 3 November 2013. ^ "MIA". Official Charts Company. Retrieved 3 November 2013. ^ "M.I.A. Releases 'Matangi' Mix for Kenzo Fashion Show". Rolling Stone. 3 March 2013. Retrieved 3 November 2013. ^ "MIA unveils new single 'Bring The Noize' – listen". NME. 17 June 2013. Retrieved 2 November 2013. ^ "Bring the Noize – Single by M.I.A." iTunes Store (US). Archived from the original on 23 October 2013. Retrieved 3 November 2013. ^ Cragg, Michael (5 September 2013). "MIA – Come Walk With Me: New music extra". The Guardian. Retrieved 2 November 2013. ^ "Come Walk With Me (Explicit) by M.I.A." 7digital (US). Retrieved 16 November 2014. ^ Grow, Kory (16 October 2013). "M.I.A. Teases New Single 'Y.A.L.A.'". Rolling Stone. Retrieved 24 October 2013. ^ "Y.A.L.A. by MIA". 7digital (US). Retrieved 3 November 2013. ^ "MIA streams new album 'Matangi' in full – listen". NME. 1 November 2013. Retrieved 2 November 2013. ^ "Double Bubble Trouble – Single by M.I.A." iTunes Store (GB). Retrieved 23 June 2014. ^ Minsker, Evan; Battan, Carrie (8 November 2013). "Watch M.I.A. Perform "Come Walk With Me" and Chat With Jimmy Fallon". Pitchfork. Retrieved 8 November 2013. ^ a b "Reviews for Matangi by M.I.A." Metacritic. Retrieved 6 November 2013. ^ Catucci, Nick (1 November 2013). "Albums: November 8, 2013". Entertainment Weekly. Retrieved 5 October 2016. ^ a b c Petridis, Alexis (31 October 2013). "MIA: Matangi – review". The Guardian. Retrieved 1 November 2013. ^ Montgomery, Hugh (10 November 2013). "Album review: MIA, Matangi (XL)". The Independent. Archived from the original on 14 November 2013. Retrieved 12 November 2013. ^ a b Carroll, Jim (13 December 2013). "MIA: Matangi". The Irish Times. Retrieved 5 October 2016. ^ a b Haynes, Gavin (31 October 2013). "MIA – 'Matangi'". NME. Archived from the original on 3 March 2016. Retrieved 1 November 2013. ^ a b Zoladz, Lindsay (5 November 2013). "M.I.A. : Matangi". Pitchfork. Retrieved 5 November 2013. ^ Hermes, Will (5 November 2013). "M.I.A. : Matangi". Rolling Stone. Retrieved 5 November 2013. ^ Asward, Jen (4 November 2013). "M.I.A. Dazzles, Confounds, and Infuriates Again and Again on 'Matangi'". Spin. Retrieved 5 October 2016. ^ Blistein, Jon (2 January 2014). "M.I.A. Leaves Jay Z's Roc Nation". Rolling Stone. Retrieved 23 January 2014. ^ Eakin, Marah (5 November 2013). "M.I.A. : Matangi". The A.V. Club. Retrieved 5 November 2013. ^ "101 Albums To Hear Before You Die". NME. Retrieved 23 May 2014. ^ "The Top 50 Albums". Pitchfork. 18 December 2013. Retrieved 19 December 2013. ^ Wolk, Douglas (4 December 2013). "Top 10 Albums". Time. Retrieved 31 December 2013. ^ "The 50 Best Albums of 2013". Complex. 23 January 2014. ^ a b "Official Albums Chart Top 100". Official Charts Company. Retrieved 13 July 2016. ^ "Official Albums Chart Top 100". Official Charts Company. 18–24 July 2010. Retrieved 13 July 2016. ^ "Official Albums Chart Top 100". Official Charts Company. 17–23 November 2013. Retrieved 13 July 2016. ^ "Eminem's 'MMLP2' Earns Second-Biggest Debut of 2013". Rap-Up. 13 November 2013. Retrieved 14 November 2013. ^ "Billboard 200: The Week of November 30, 2013". Billboard. Retrieved 13 July 2016. ^ Murray, Gordon (15 November 2013). "M.I.A. 's 'Matangi' Debuts Atop Dance/Electronic Albums Chart". Billboard. Retrieved 26 November 2013. ^ "Upcoming Releases". Hits Daily Double. Archived from the original on 3 August 2016. Retrieved 3 August 2016. ^ a b "Ultratop.be – M.I.A. – Matangi" (in Dutch). Hung Medien. Retrieved 15 November 2013. ^ a b "ARIA Top 100 Albums – Week Commencing 11th November 2013" (PDF). Australian Recording Industry Association (1237): 6. 11 November 2013. Retrieved 16 November 2014 – via Pandora Archive. ^ a b マタンギ | M.I.A. [Matangi | M.I.A.] (in Japanese). Oricon. Retrieved 13 July 2016. ^ "Matangi (Amazon Exclusive Version) [Explicit]: M.I.A. : MP3 Download". Amazon.com. Retrieved 5 November 2013. ^ Pelly, Jenn (3 December 2013). "Listen: M.I.A. : "Trouble Again"". Pitchfork. Retrieved 3 December 2013. ^ "ARIA Urban Albums Chart". ARIA Charts. 11 November 2013. Archived from the original on 3 December 2013. Retrieved 1 December 2013. ^ "Ultratop.be – M.I.A. – Matangi" (in French). Hung Medien. Retrieved 15 November 2013. ^ "Lescharts.com – M.I.A. – Matangi". Hung Medien. Retrieved 13 July 2016. ^ "Official Cyta-IFPI Charts – Top-75 Albums Sales Chart (Week: 48/2013)" (in Greek). IFPI Greece. Archived from the original on 15 December 2013. Retrieved 15 December 2013. ^ "Swisscharts.com – M.I.A. – Matangi". Hung Medien. Retrieved 13 July 2016. ^ "Official R&B Albums Chart Top 40". Official Charts Company. Retrieved 13 July 2016. ^ "MIA-1 Chart History (Billboard 200)". Billboard. Retrieved 16 September 2018. ^ "MIA-1 Chart History (Top Dance/Electronic Albums)". Billboard. Retrieved 16 September 2018. ^ "MIA-1 Chart History (Top Rap Albums)". Billboard. Retrieved 16 September 2018. ^ "Dance/Electronic Albums – Year-End 2014". Billboard. Retrieved 14 December 2014. ^ "Matangi – M.I.A. (CD)". HMV Ireland. Retrieved 13 July 2016. ^ "Matangi, M.I.A." (in Dutch). bol.com. Retrieved 16 November 2014. ^ "Matangi". JB Hi-Fi. Retrieved 16 November 2014. ^ "Matangi by M.I.A." iTunes Store (AU). Archived from the original on 11 November 2013. Retrieved 3 November 2013. ^ "Matangi – M.I.A" (in French). Fnac. Retrieved 3 November 2013. ^ "Matangi by M.I.A." iTunes Store (FR). Archived from the original on 11 November 2013. Retrieved 3 November 2013. ^ "M.I.A. | Matangi" (in German). Universal Music Germany. Retrieved 3 November 2013. ^ "Matangi by M.I.A." iTunes Store (DE). Archived from the original on 11 November 2013. Retrieved 3 November 2013. ^ "Matangi by M.I.A." iTunes Store (IT). Archived from the original on 11 November 2013. Retrieved 3 November 2013. ^ "Matangi by M.I.A." iTunes Store (NL). Archived from the original on 11 November 2013. Retrieved 3 November 2013. ^ "Matangi by M.I.A." Amazon.co.uk. Retrieved 3 November 2013. ^ "Matangi by M.I.A." iTunes Store (GB). Archived from the original on 11 November 2013. Retrieved 3 November 2013. ^ "MIA – Matangi" (in Italian). Internet Bookshop Italia. Retrieved 3 November 2013. ^ "Matangi – M.I.A." (in Polish). Universal Music Poland. Retrieved 12 November 2013. ^ "M.i.a: Matangi". Amazon.com. Retrieved 3 November 2013. ^ "Matangi by M.I.A." iTunes Store (US). Retrieved 3 November 2013. ^ "Matangi by M.I.A." iTunes Store (JP). Archived from the original on 11 November 2013. Retrieved 3 November 2013. ^ "マタンギ 【CD】" [Matangi [CD]] (in Japanese). Universal Music Japan. Retrieved 12 November 2013. ^ "Matangi [Vinyl LP]" (in German). Amazon.de. Retrieved 3 November 2013. ^ "Matangi (Vinyl)". Amazon.com. Retrieved 3 November 2013.